I read this article and found it very interesting, thought it might be something for you. The article is called Bantam Chickens and is located at https://www.chickencoopguides.com/breeds/bantam-chickens/. When starting a flock of chickens, it’s important to choose the right variety. Say you want a productive bird with a friendly disposition so that your children can help gather eggs. The problem is, you don’t have a lot of space. If this situation sounds familiar, bantam chickens may be just what you’re looking for. The distinguishing feature of bantam chickens is their small size. Roughly one-third to one-fifth the size of a standard chicken, these little fellows are good for small backyards and urban environments where space is at a premium. They also cost much less to feed and house than full-size chickens, making them a great choice if you want to start and maintain a flock on a budget. Despite their diminutiveness, bantam chickens have gained a reputation for their plucky personalities. It can be comical to see a tiny chicken strutting around like a king! However, don’t be concerned if you’re hoping to turn your coop into a family affair. These little birds are all bark and no bite, and most bantam chicken breeds are regarded as good varieties for children to keep. The hens make excellent mothers to their broods, while both you and your neighbors will appreciate the quieter volume of the roosters. Bantam chickens come in many breeds, which often correspond to larger breeds of standard chickens. Because of this, the personality and egg-laying characteristics of a bantam can vary. Pekin bantams, for example, are renowned for their calm and docile personalities and make great pets. Sebrights, on the other hand, are shy and aloof. When building your flock, make sure to check the breed characteristics and select a type that suits your needs. Aesthetics should not be a problem, as bantam chickens come in an enormous variety of colors and patterns, from barred and spotted to solid blacks and golds. Bantams are also available in ornamental breeds, which have irresistibly beautiful plumage and often make great pets. The Silkie, for example, has soft and fluffy feathers and a sweet personality that make it fantastic for children. However, ornamental chickens often require extra care and are less cold-hardy than other breeds. If you’re hoping for eggs, you should know that bantams are generally as productive as their larger counterparts, with some breeds laying up to 150 eggs per year. However, as the hens are smaller, the eggs are smaller too. When following recipes, it takes about three bantam eggs for every two eggs laid by a standard hen. Don’t let this discourage you, as bantam chicken eggs are as delicious as farm-fresh eggs anywhere. 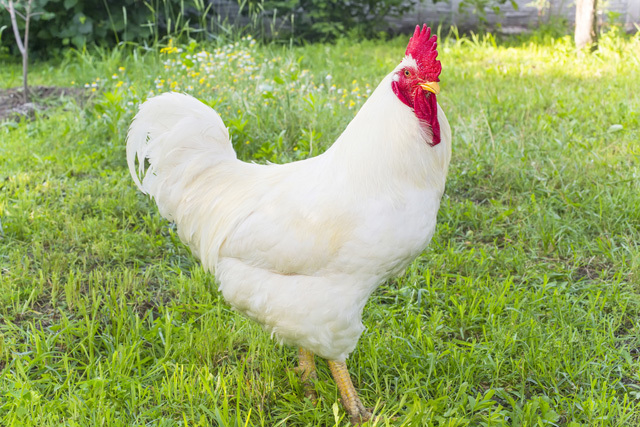 Consider which of the many bantam chicken breeds you’re planning to purchase, because unique breed characteristics will affect your housing needs. For example, chickens with feathered feet will need a coop with a rigid cleaning schedule and a dry, covered run to prevent the foot and leg complications that can be caused by excess moisture. Some ornamental breeds need insulated coops in colder climates. Since bantam chickens are so small, you don’t need a large coop to give them the home they need. However, they are an especially easy target for predators like hawks, raccoons, and foxes, and can even be hunted down by neighborhood cats and dogs. Protect your flock with a secure, sturdy housing area and make sure to keep the birds locked up safe at night. If you’re tight on space and want easy, friendly birds, bantam chickens are a good choice for you. Provide them with loving care and a proper home, and they’ll be strutting around the run and filling their nesting boxes with tiny eggs for years to come.